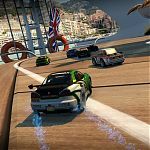 Table Top Racing: World Tour is a ‘high-octane’ racer from the co-creator of the Wipeout series. 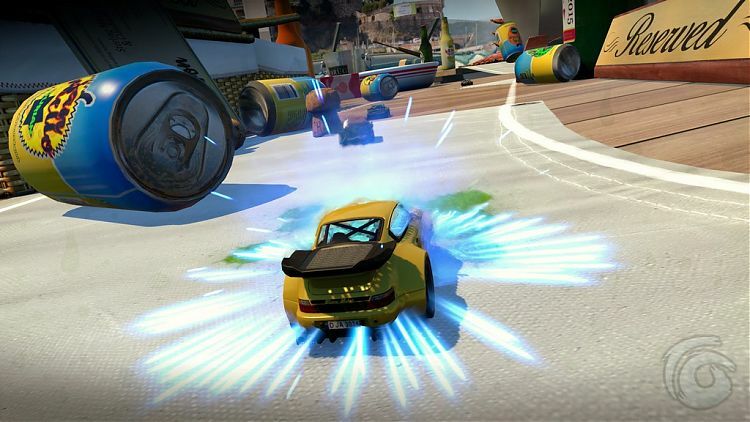 The game takes cues from games such as Micro Machines and Mario Kart where players race miniature vehicles around courses made of everyday items while trying to slow down one another with a variety of weapons. 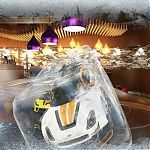 Table Top Racing: World Tour takes a parody of your favourite vehicles and shrinks them down to micro size so that they can be raced on table tops, cruise ships and Yo! Sushi counters. 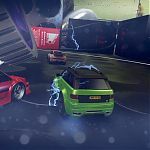 Players are offered the choice from a selection of twelve vehicles from three different classes: Cult Classics, Street Races and Supercars all of which are based on real vehicles, such as the Fauxrari, Zomg-A and Widow Maker. The last of which has a striking resemblance to a Porshe. Too soon, Playrise Digital, too soon. You can even choose, if you so wish, to drive the infamous campervan from Breaking Bad, minus the meth lab, of course. 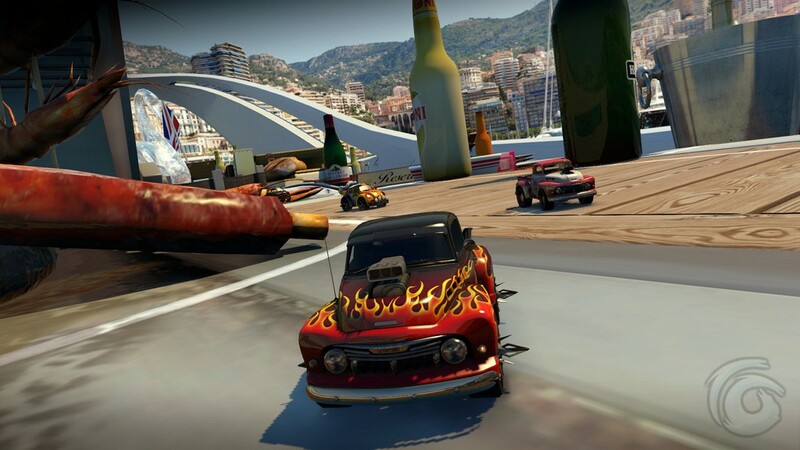 Each vehicle has a number of customisation options, but not enough to make players feel truly unique in an online setting. 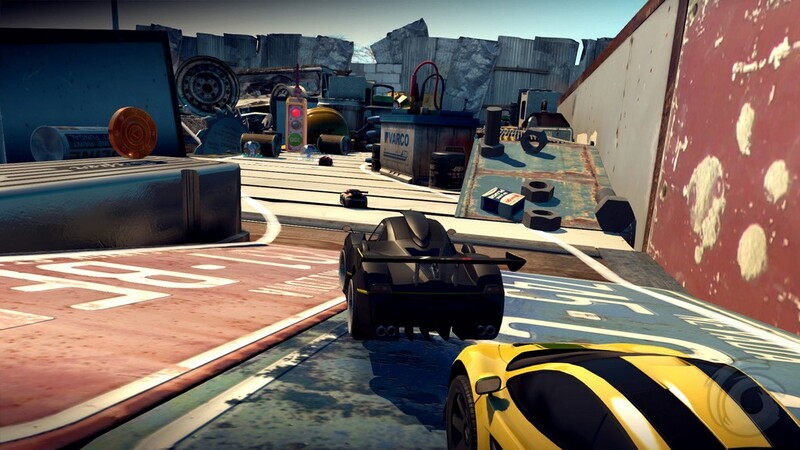 Each car has four different skin options as well as a handful of wheels which can offer an edge in gameplay. From the ‘Bling Wheels’ which provide an add cash bonus for a successful attack on an opposing player to the ‘Centurion Wheels’ which have pop-out spikes to slow down your rivals on impact. 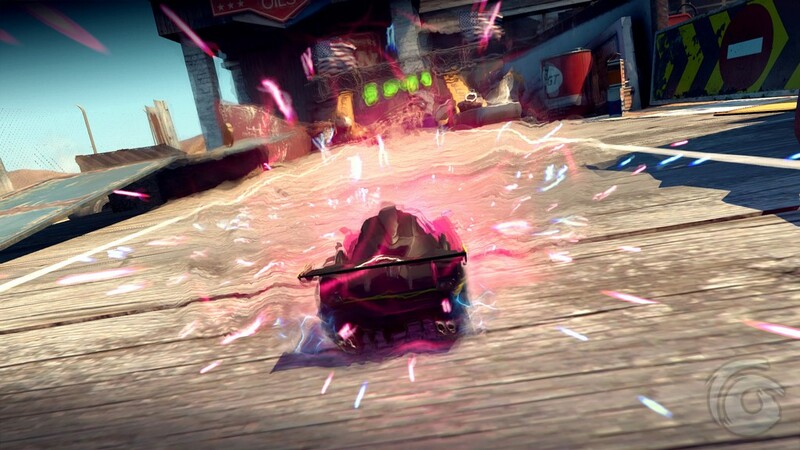 Throughout the game’s 90 plus races players can also collect powerups to give them an edge. From a guided missile to a jet of ice which turns any vehicles in its way into a block of ice. I found the game tended to rely on these items a lot in some of the levels. One particular level I found to give me trouble was actually quite early on. With my vehicle upgraded to the max, I found it nigh impossible to hit the top three without using any weaponry. 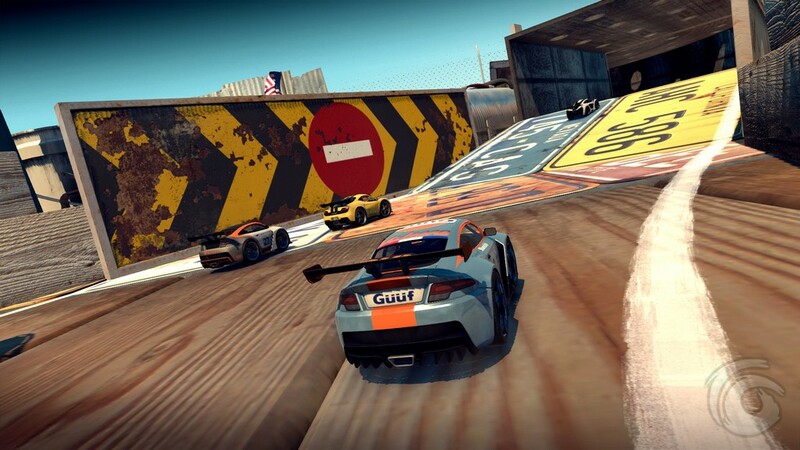 For a racing game, it felt that I was being penalised for trying to win on skill alone. 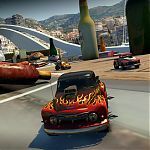 It’s not that I was being bombarded with weapons which allowed the AI to pass, it was more the fact that all of the AI cars were faster and better at cornering than my own vehicle. With this in mind, I found cornering to be a major issue in the Cult Classic tier. 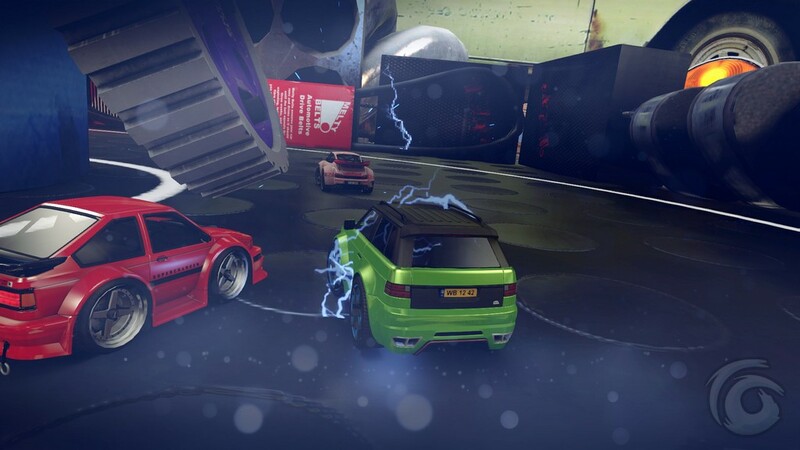 With no default option to drift, I found cornering removed a significant bulk of my momentum. 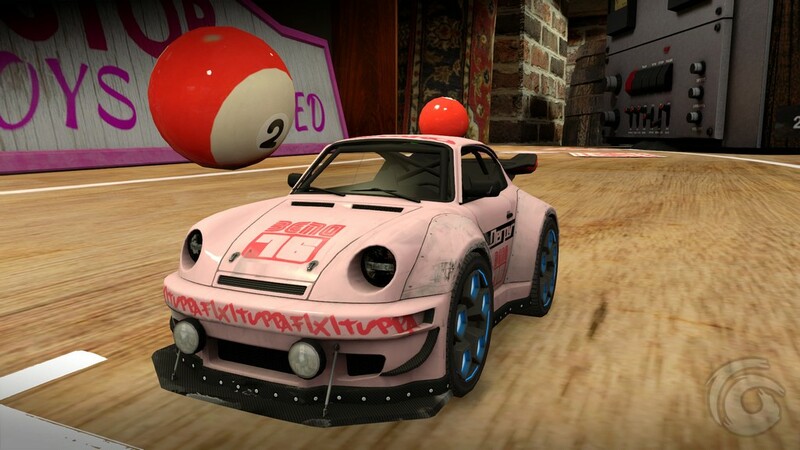 Granted, you can equip the ‘Drift Wheels’, but even the game states these won’t help you with your fastest lap. It’s frustrating. 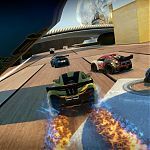 The main game offers over 90 racing events which break down into Time Trials, Races, Eliminations and a catch-up style mode, where you start the race a set distance behind your opponent and your aim is to crash into them within the time limit to win. 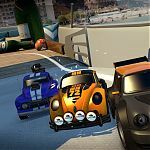 TTR:WT is the type of game I would class as a ‘Couch Game’. 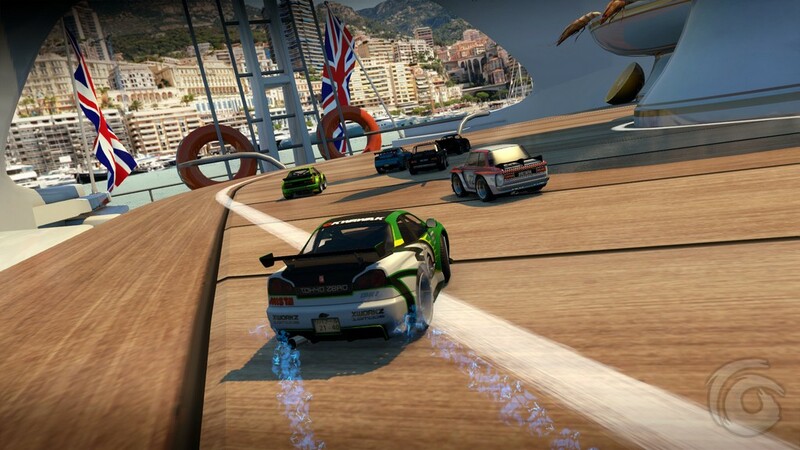 Although the online multiplayer mode works very well I was disappointed to find there is no split-screen multiplayer. I know that in this day and age it’s common place to forgo the local play, I can’t help but feel TTR would greatly benefit from it. That’s not to say the multiplay is lacking. 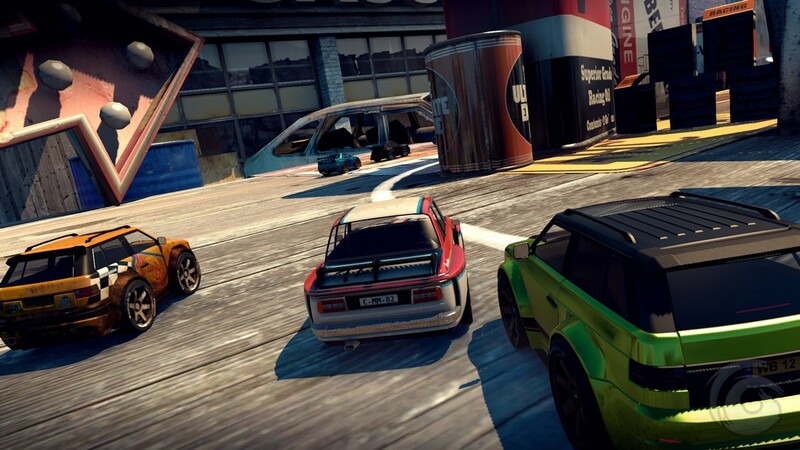 In fact, even though it relegates you to online only it’s still great fun. 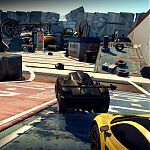 The online mode offers you all 20 tracks without the need to unlock them as well as the ability to use any tier of vehicle. 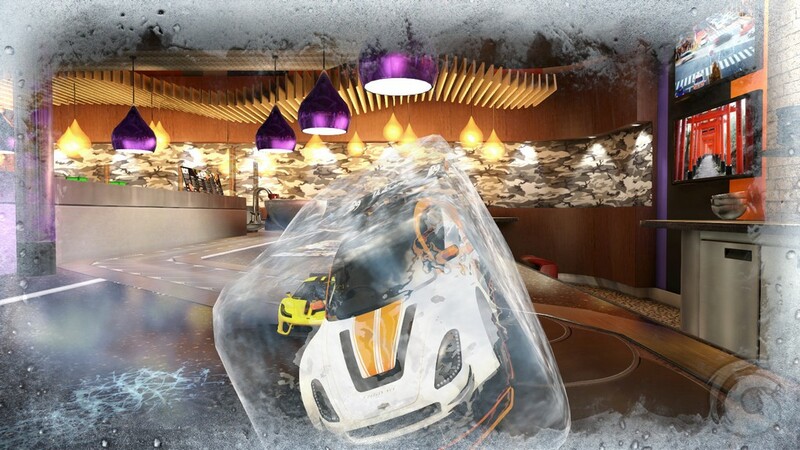 One of the advertising points for TTR:WT was their partnership with one of the biggest sushi chains in the UK: Yo! Sushi. 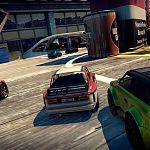 With a number tracks designed around this brand, it’s clear the team at Playrise Digital have paid attention to every little detail. This is also evident beyond the branded tracks. 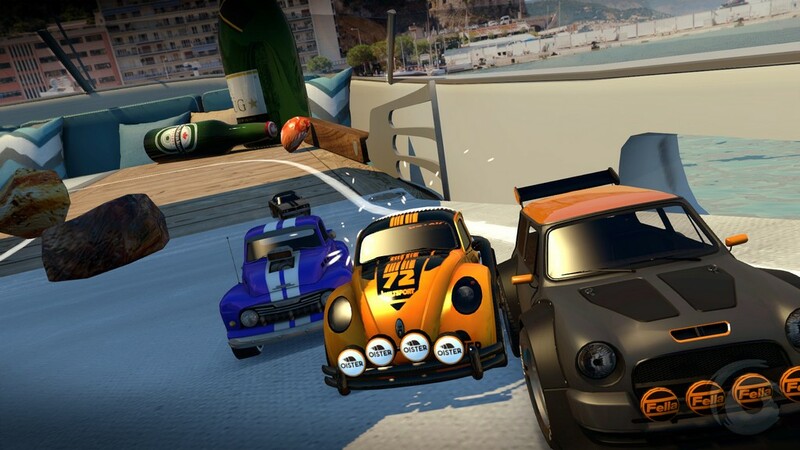 I noted that when bumping into other vehicles on the track a plastic-like sound could be heard; I thought this was a nice touch, considering the cars are tiny remote controlled vehicles. 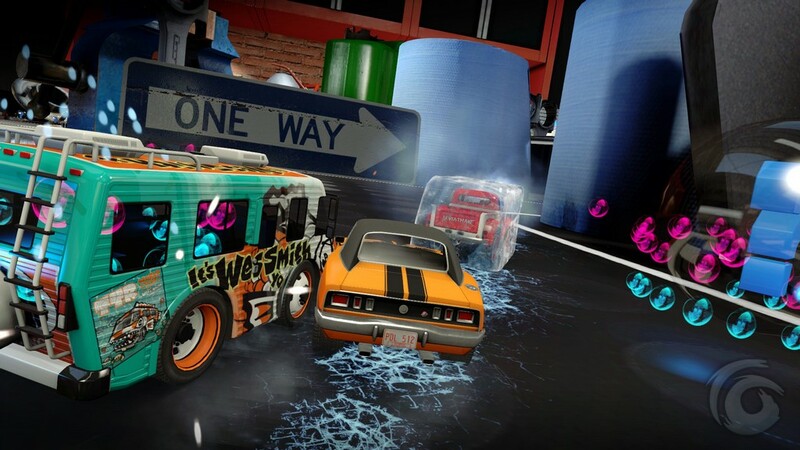 I also noticed that many of the vehicles had parts that moved freely, such as bonnets that opened or spare tyres that flapped about as you drive over bumps. 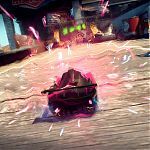 Overall I found Table Top Racing: World Tour to be a decent racing game, but I can’t help but feel it will always live in the rose-tinted shadow of Micro Machines V3 – the standard of which all miniature racing games will be held against. 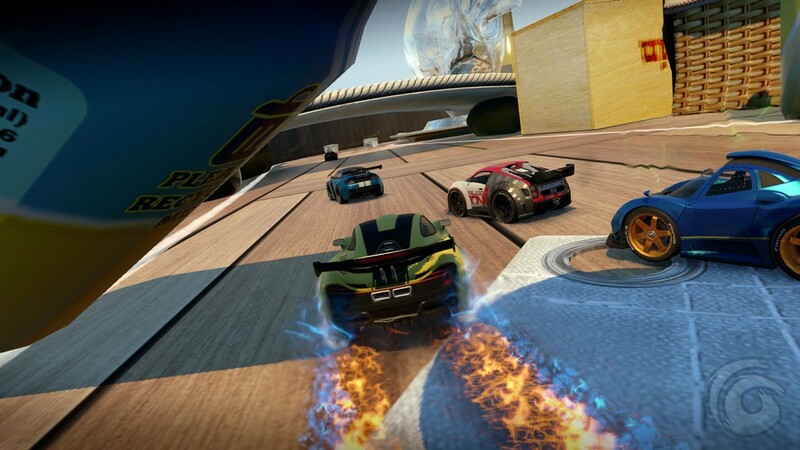 The multiplayer is pretty solid but doesn’t offer the same modes as the main game so it can get pretty samey after a while and without split screen local play it doesn’t hold up to games like Mario Kart. 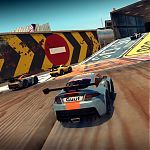 This review is based on playing the PC version of Table Top Racing: World Tour that was kindly provided for review purposes by Playrise Digital.